View More In Deviled Egg Plates. Spring Hare is a Boston International exclusive design perfect for many occasions. 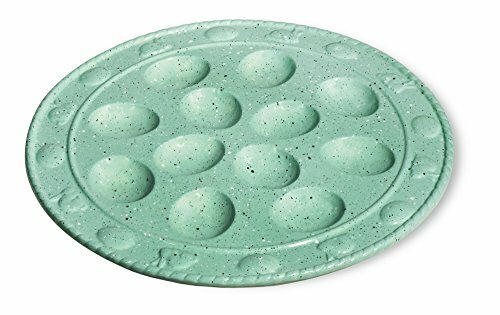 Beautifully speckled robin's-egg blue glaze on food-safe ceramics, sure to brighten a table, picnic blanket, or patio. Fun and fresh, Spring Hare is a wonderful addition to your home all year long. Look for all the pieces, available exclusively from Boston International. If you have any questions about this product by Boston International, contact us by completing and submitting the form below. If you are looking for a specif part number, please include it with your message. Portmeirion Holly & Ivy Devilled Egg Dish 12"